Are you looking for an easy way to display popular posts in your WordPress sidebar? Today I’m showing you how to add popular posts in your wordpress sidebar with a plugin called WordPress Popular Posts. Why would you want to add popular posts to your sidebar? As a money maker – make sure to add affiliate marketing links to these posts, they’ll continue to be read often. Tends to keep readers on your site longer, which Google loves – readers will come to read your latest post but wind up reading your top posts too because of #2 above! 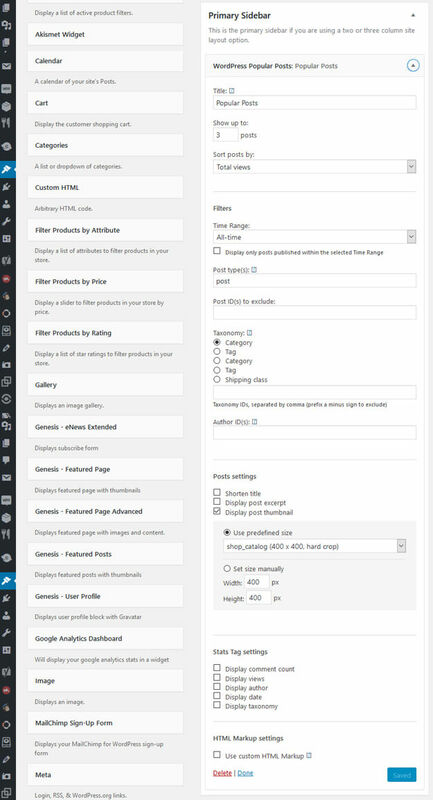 Log in to the backend of your WordPress dashboard. Then go to PLUGINS > ADD NEW. In the search field type in ‘popular posts’. You’re going to want to find the plugin called WordPress Popular Posts. On WordPress Popular Posts, click on INSTALL NOW button, then ACTIVATE button. This will place the WordPress Popular Posts plugin into your plugins. Next, go to APPEARANCE > WIDGETS. Under available widgets you will find the WordPress Popular Posts. Drag and drop the WordPress Popular Posts into your ‘sidebar widget’ area. Note: Depending on your theme, yours might not be titled ‘primary sidebar’ like mine, it might be something as simple as ‘sidebar’. Fill in the form areas similar to what I have above and click on SAVE button. Preview your site on the front end and you’ll see your newly created ‘Popular Posts’ in your sidebar. Voila! Note: You don’t have to fill in the form areas EXACTLY like mine, perhaps you want to show 4 or 5 popular posts rather than 3, or you prefer to set a specific time range, or a different size. Play around with it and decide what’s best for you! 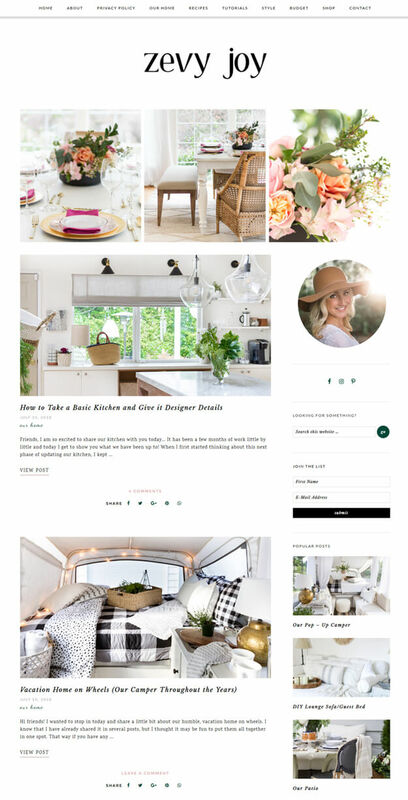 And here’s another real life example of our client Annie of Zevy Joy – showcasing popular posts in her wordpress sidebar. She’s so talented, you’ll have to go check her out. 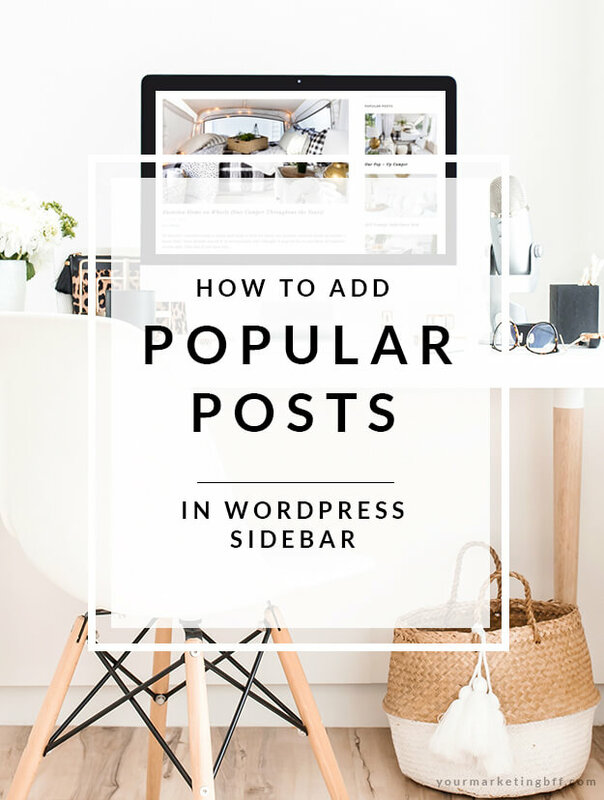 I hope you enjoyed learning how to add popular posts in your wordpress sidebar! 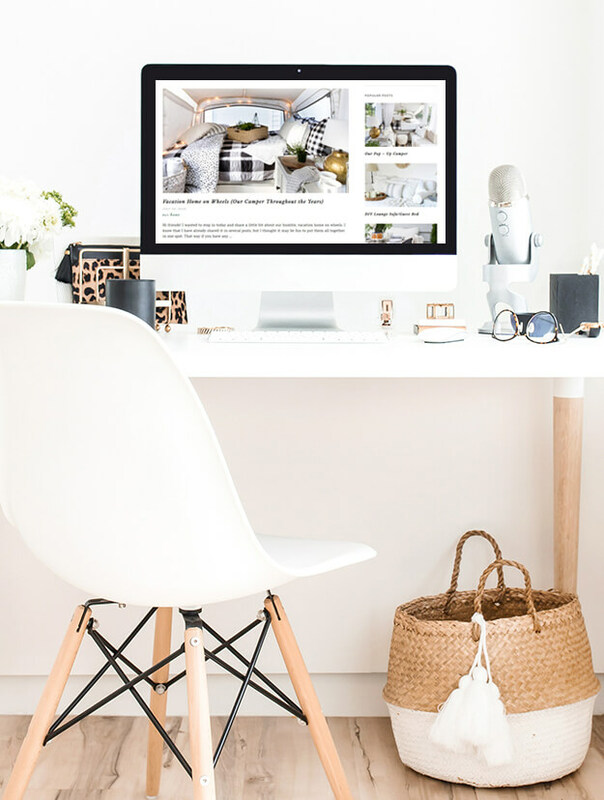 It’s pretty easy and something you can add to your own site today (in less than 5 minutes). Looks like I have a new task for my “in-house web developer” to do! Hahaha!